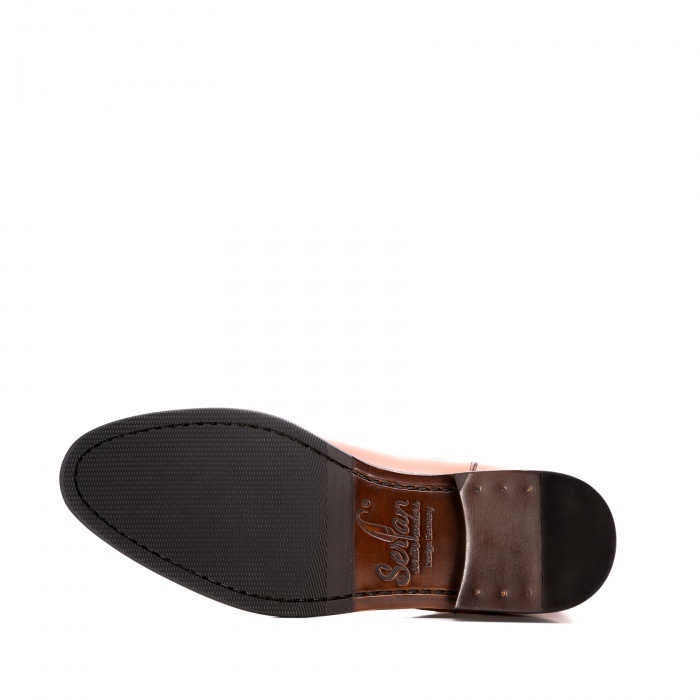 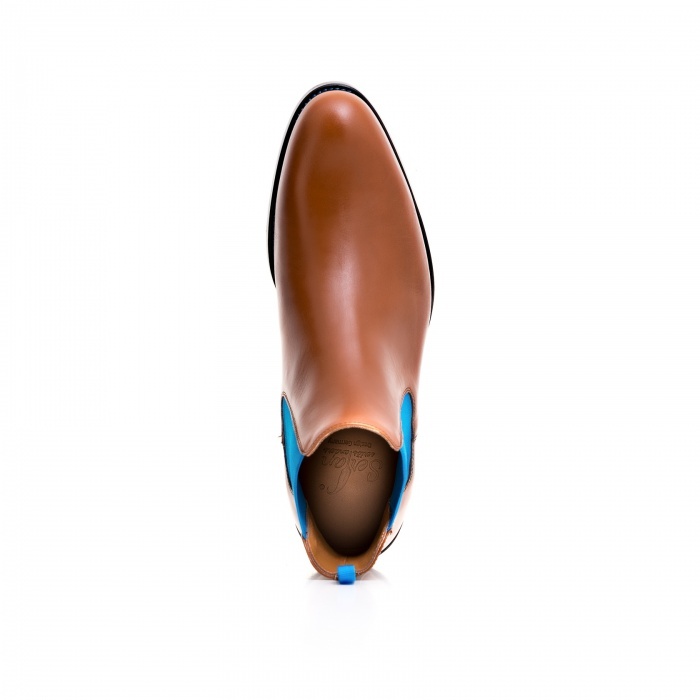 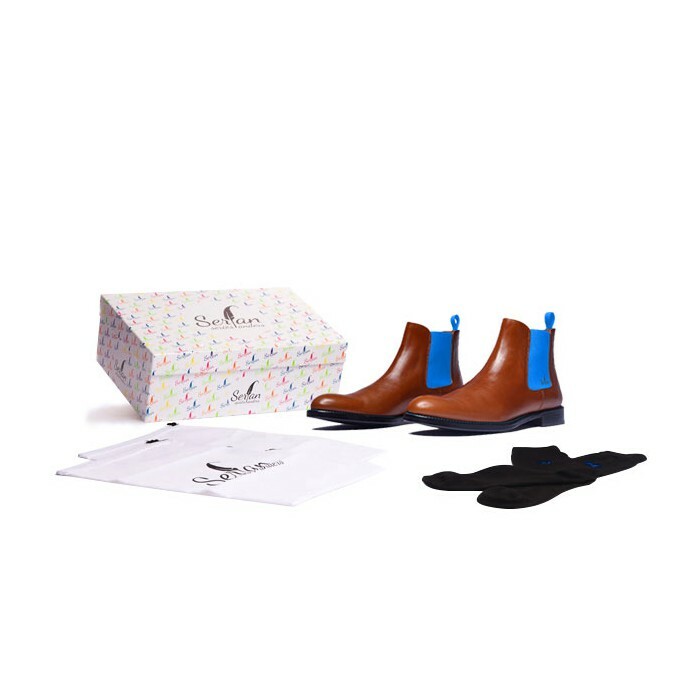 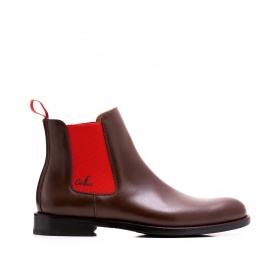 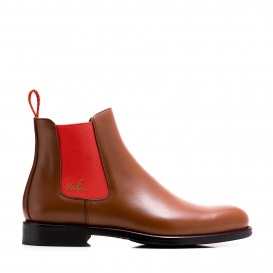 The Chelsea Boot in cognac has, due to his blue spandex insert, the certain something. 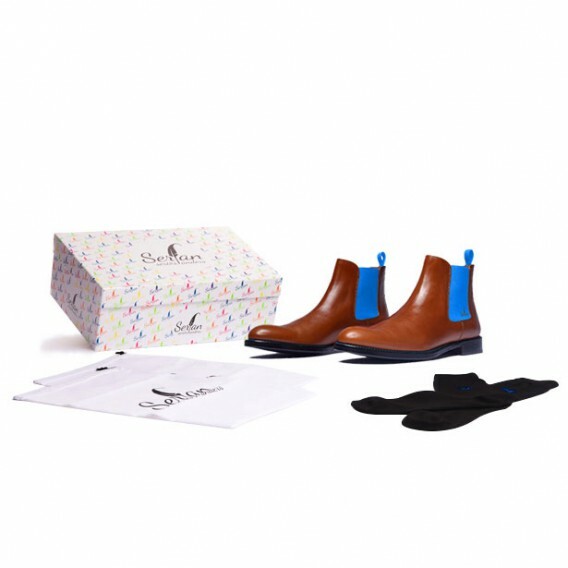 The harmonious color combination reflects naturalness and elegance. 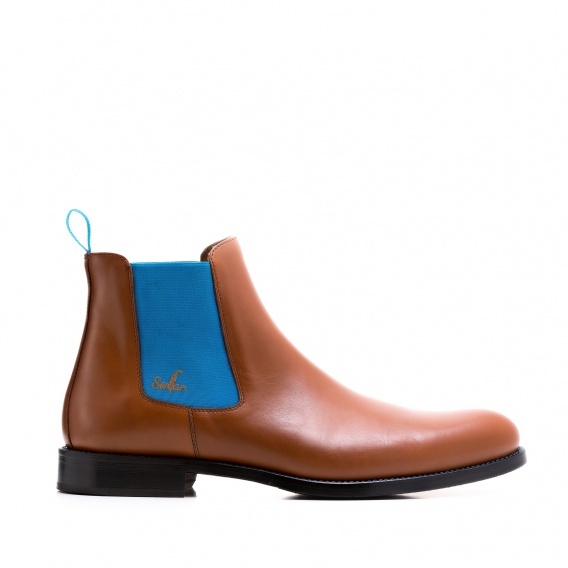 So you are always stylish and casual and you can go perfectly through your everyday life. 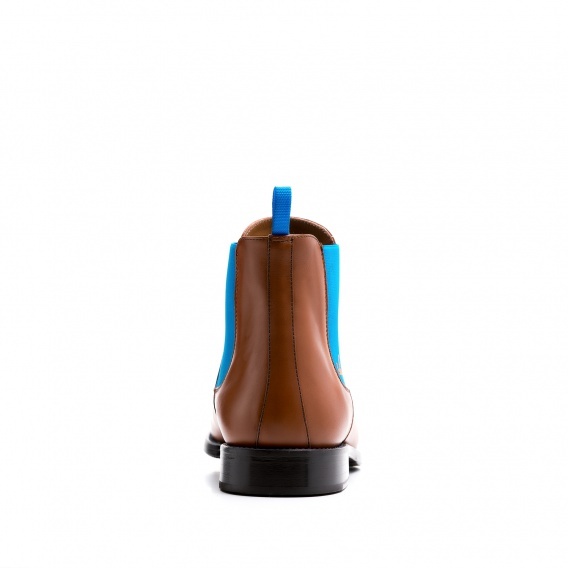 High wearing comfort and an optiml fit are guaranteed by the rubber straps on both sides. 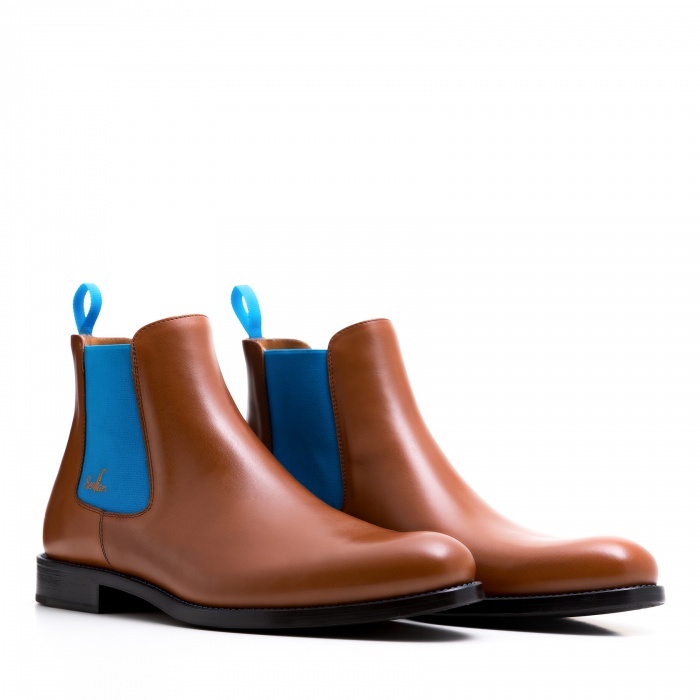 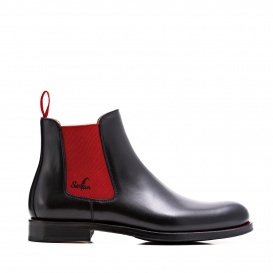 A navy look with blue-white stripes, or a dark blue suit with a trench coat goes perfectly with these boots.